Glen serves as our inaugural President. As a former Chairman of Manalapan's Economic Development Council, Glen has been instrumental in the advancement of bringing Manalapan's business community together to speak as one loud voice. His enthusiasm, quick wit and smile are infectious and he practices what he preaches in and around Manalapan. A true believer in volunteerism/activism, he also serves as the Deputy Chairperson of the Western Monmouth Utilities Authority, Chairman of the Board of Trustees of The Center School in Somerset, the Executive Council of the Boy Scouts and is very active in local politics. Jordan brings years of experience in law enforcement and municipal government to the Executive Board. He is a retired Lieutenant from the New Jersey State Police and has served for 6 years on the Manalapan Township Committee. During his tenure he served as Mayor, Deputy Mayor, Police Commissioner and a member of numerous other Township Committees. Jordan and his wife Teri own and operate Pinot’s Palette, a paint and sip franchise. It was their goal to open their business in Manalapan Township and offer a fun and relaxing experience for both adults and children. Mission accomplished! He has proven to be an integral part in the creation and development of the Manalapan Business Association. 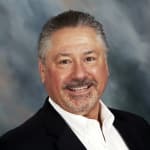 His knowledge, experience and enthusiasm has aided in his strong desire for the Manalapan Business Association to succeed for the benefit of our business owners, current and new, and our residents. Barry is the owner and president of Ace Home Improvements, founded by his father and brother-in-law with one philosophy in mind, building a strong foundation will build long-term relationships in years to follow. Barry continues to keep the tradition of “family owned” with his son David. 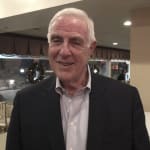 As a resident of Four Seasons of Manalapan, Barry created and chaired the Civic Committee to serve as a liaison between Manalapan Township and Four Seasons. Barry is honorably recognized by Jewish Children and Family Services of Monmouth County and one of the founding members of the Freehold Center Partnership. 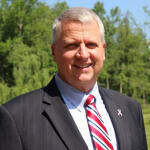 He has dedicated much time and energy to developing and revitalizing Freehold Boro. Currently, he is working to redesign parking and valet service for Freehold Boro. Barry served for many years on ManalapanTownship's Zoning Board of Adjustment and currently sits on Manalapan's Planning Board. Ricardo is a dedicated financial professional with over 20 years of business experience. A Financial Advisor since January 2000, he currently is an Associate Vice President – Investments with Wells Fargo Advisors. 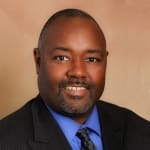 Ricardo earned his undergraduate degrees from Franklin & Marshall College (BA, Anthropology and History) and Brooklyn College (BS, Accounting) and earned his graduate degree from St. John’s University (MBA, Finance). He has been actively engaged within the Franklin & Marshall College Alumni community and has served in a number of leadership roles which include the following: Trustee, Franklin & Marshall College Board of Trustees (2014 – 2016); President of the Franklin & Marshall College Alumni Association (2014 -2015); Alumni Association Liaison, Franklin & Marshall NY Regional Chapter (2008 – 2016). Ricardo has also served as a Mentor to the Allan Houston Legacy Foundation’s Business Education where he was honored as a recipient of the New York Mentoring Partnership award. A resident of Manalapan for nearly 5 years, Ricardo is married with twin daughters and enjoys watching sports, traveling, skiing, golfing and helping people grow personally and professionally. In conjunction with his fellow Board members, he looks forward to the Manalapan Business Association developing into the premier business association in Monmouth County. JoAnna comes to the Board of Directors with over 11 years experience as a full-time Realtor Associate at Weichert Realtors. 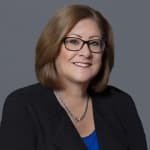 During her 25 plus years as a Manalapan resident, JoAnna has consistently demonstrated her commitment to improving the quality of life for both her Manalapan neighbors and the business community. 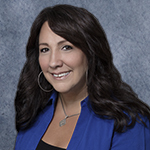 During her tenure as Co-Chairperson of the Manalapan Economic Development Council, JoAnna was instrumental in bringing the “Shop Manalapan 1st” program to fruition. She served for many years on on Manalapan's Zoning Board of Adjustment. JoAnna looks forward to the next 25 years of living in Manalapan. Gail brings to the Board over 14 years of experience as a full-time Realtor Associate at Weichert Realtors. A lifelong New Jersey resident she settled in Manalapan in 1996, making it the natural location on which to focus her real estate business. With a degree in Sociology and a background in Customer Service her professionalism and attention to detail is appreciated. As a volunteer on Manalapan Township's Transportation committee she is working to balance the need for improved infrastructure while making decisions to protect the quality of life for her Manalapan neighbors.